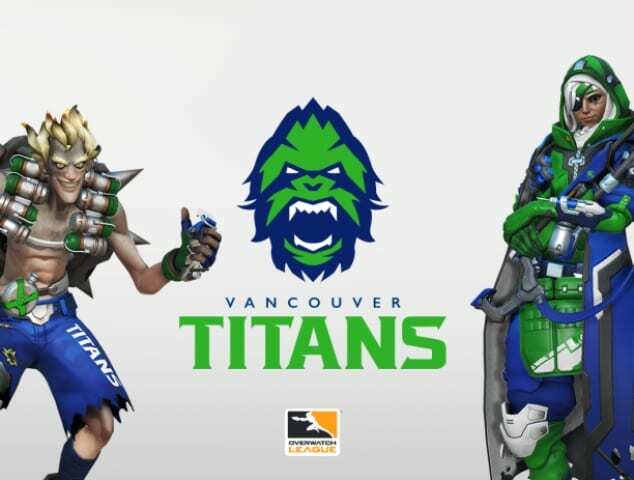 The Aquilini Group is going big to launch Vancouver’s upcoming Overwatch League team, naming the team the Vancouver Titans. The Titans new brand can be seen on Twitter @VancouverTitans, on Instagram @VancouverTitans_, on Facebook @VancouverTitans, and on Twitch @Vancouver_OWL. The Titans’ colors will be blue (primary), green (secondary), and white (accents) to “represent Vancouver’s greenery surrounded by the Pacific Ocean. The colour shades signify a vibrant, contemporary take on the Vancouver Canucks palette, but still allow the Titans to develop their own West Coast style.” The Titans logo features a sasquatch with the monogram of a ‘V’ in the nose for Vancouver, and a mountain range on the top of its head. The Aquilini Group partnered with leading Canadian esports organization Luminosity Gaming and its CEO Steve Maida. The two organizations are working closely to help craft and implement all aspects of the Titans strategy surrounding player acquisition and development, key staffing, day-to-day operations, marketing, and more.